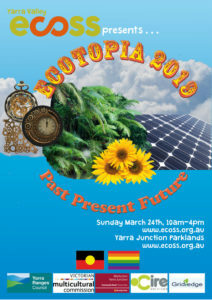 On Sunday 24th March 2019, Yarra Junction will come alive with festive colour, sustainability initiatives, and multicultural performances, Ecotopia will bring the community together for another wonderful celebration of who we are and what we contribute to benefit our environment. 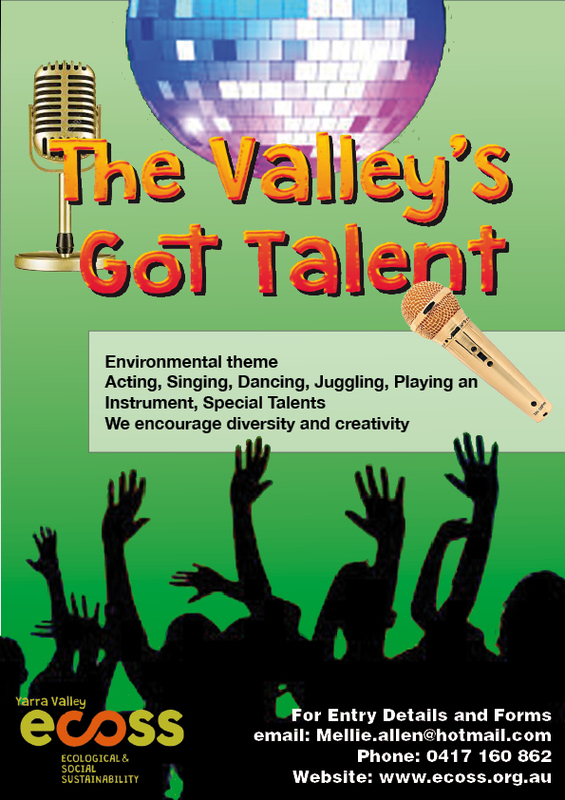 This year we will present the inaugural ‘The Valley’s Got Talent’- for information please contact mellie.allen@hotmail.com- see info link below. 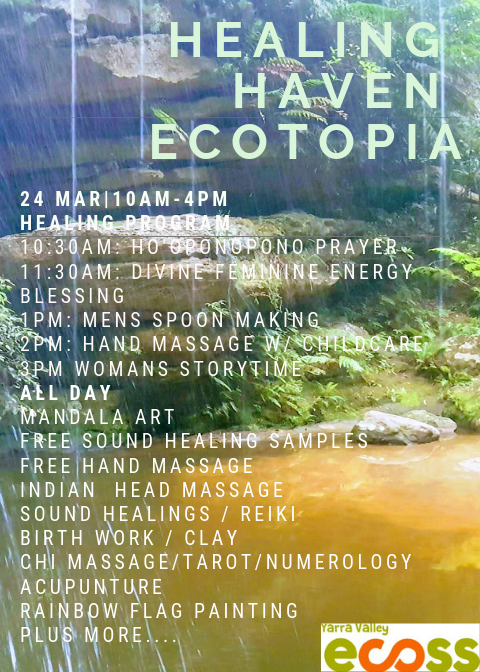 There will be lots of environmentally friendly stalls, healthy and delicious food, kids activities and performances on stage all day, the area includes Bens Shed and we are presenting ‘Old Ways’ section of Ecotopia behind the Upper Yarra Museum. This FREE festival is generously sponsored by Yarra Ranges Council, Upper Yarra Community Enterprise, Cire Services and Victorian Multicultural Commission. We are so grateful for our sponsorship enabling us to provide this entertainment and connection opportunity FREE. 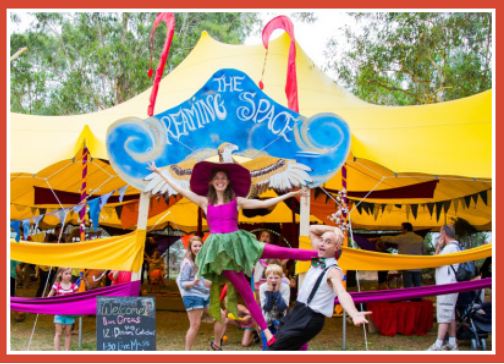 We work together with Upper Yarra Museum, Bens Shed, and Belgravia Leisure Centre to bring you this fantastic community event. 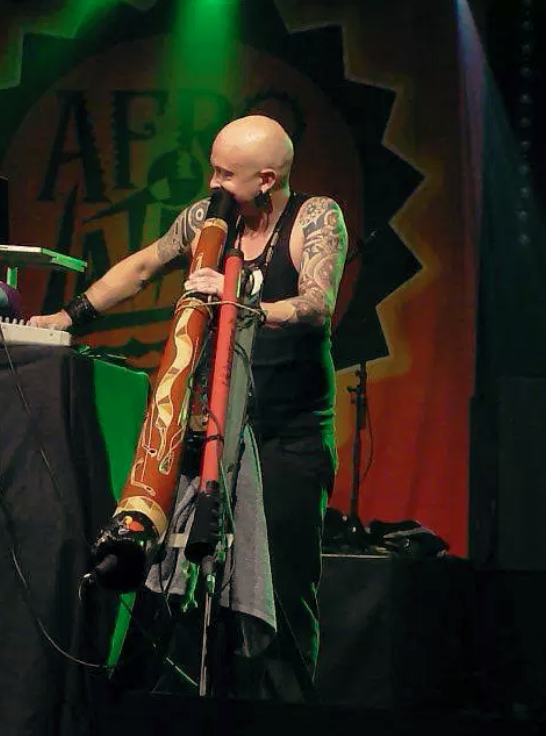 Ganga will also be offering a kids Didgeridoo (Yidaki) Workshop on the day from 1pm- 2 pm. We are called the Djirri Djirri Dance Group, which is the Woi wurrung (Wurundjeri) name for Willy Wagtail. We named our group Djirri Djirri as it is a little black bird who is well known to dance all the time. 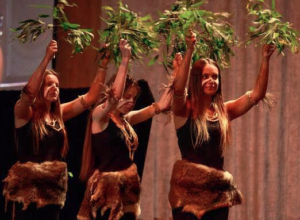 We are the Wurundjeri Womens Dance Group. Kofi Kunkpe, Kwame Tosuma and Yarra Valley Drummers. 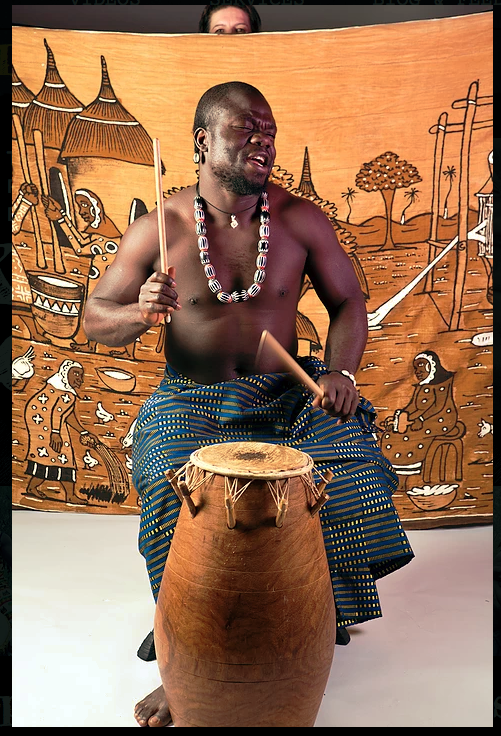 Kofi Kunkpe is an Ewe master drummer from the Volta Region of Ghana. He is passionate about the maintenance of traditional culture in helping to improve the lives of the people of Ghana. Kofi shares his skills with Yarra Valley Drummers. 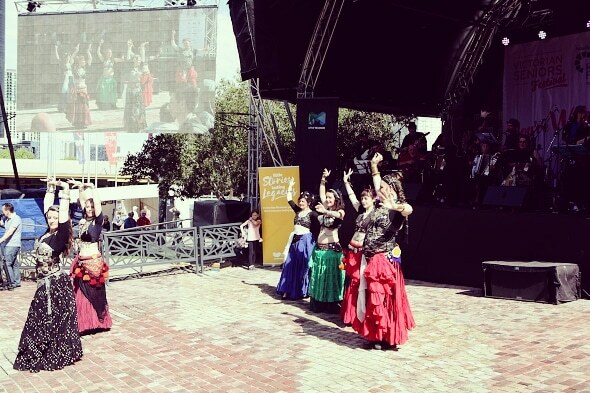 Sanacori is the performing troupe of the Melbourne school of Tarantella, showcasing dances and music from the South of Italy. Sanacori fuse together traditional and contemporary elements to their performances, taking the spectator for a journey into a rich culture often steroryped and misunderstood. 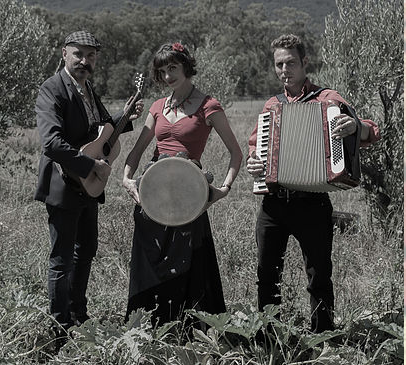 The repertoire includes dances from Puglia, Calabria, Sicilia and Campania; enchanting songs of love, resistance, work chants and cheeky tunes! 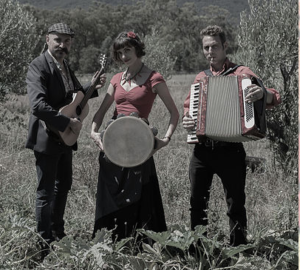 Sanacori are: Rosa Voto: voice, tamburello, whistle, dance Vincenzo de Simone: guitar and percussion, dance, Renato Vacirca: accordion, drums, percussion , dance. The Vivid Sisters are a Melbourne-based American Tribal Style and fusion troupe with a shared passion for tribal and folk based styles, particularly the Slavic influences. Led by Briohny May and Ange Flynn, they regularly perform at CERES markets and with the Footscray Gypsy Orchestra and at a variety of community and belly dance events around Melbourne. 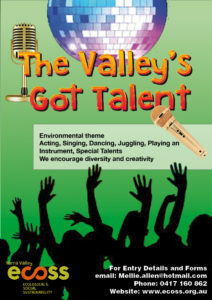 Be prepared for vibrant colour, a cacophony of zills and whoops wherever they grace the stage, sidewalk or storefront! 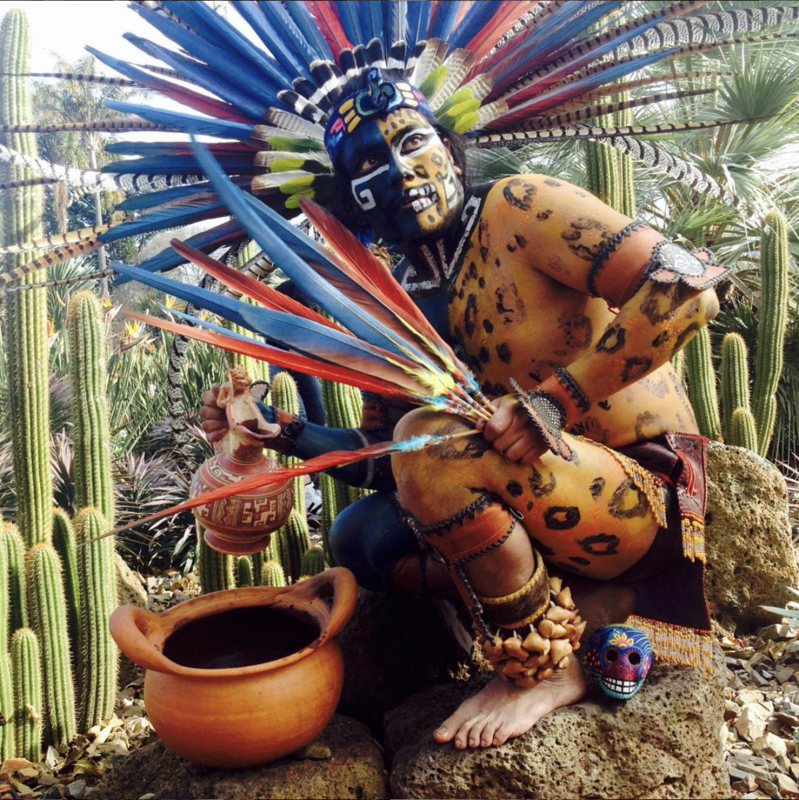 Fernando Itzcoatl is a traditional Aztec Dancer, born in Mexico and living in the Yarra Valley. He is also a Sundancer and keeper of traditions holding sweatlodge and cacao ceremonies at Ecoss. 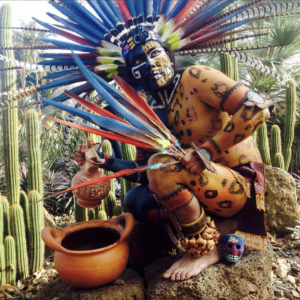 The Aztec dance is an embodied prayer that has been prociced fo rthousands of years, often with large groups of dancers, in dedication to various aspacts of Nature, done in gratitide ans service at differnt times of the year. Fernando dances in honour of the fire. 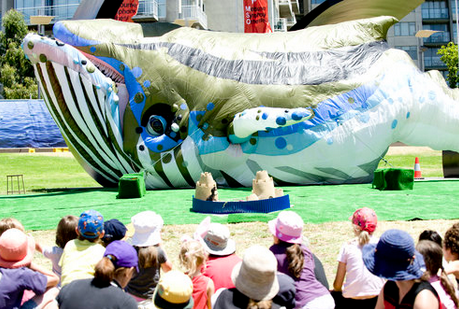 Yarra Ranges Council River to the Bay program brings you “A Whales Tale” funded by the Department of Environment, Land, Water and Planning. A Whale is washed up on a beach and discovered by a child. Is it alive or dead? How did it get there? The spirit of the Whale, embodied as the Navigator, embarks on a journey to find out what is wrong with the dubious help of Dr Walrus. Highly interactive, full of riotous slapstick and extremely playful. An environmental tale to warm the heart, with reflections about the consequences of our actions. It has been forecast that by 2050 there will be more plastic in the sea than fish. The Whale’s Tale is a rollicking journey that will leave your children wanting to make a difference. A show for all ages. Target age is 5 to 12 years. The video can be viewed at http://www.borninataxi.com.au/the-whales-tale/. In the theme of Past, Present, Future, we are hosting the ‘Old Ways’ section of Ecotopia in the rear of the Upper Yarra Museum this year. This section is to honour the traditional handskills that have sustained our culture for many generations before us. We will have demonstrations and displays all day including: Blacksmithing, Felting, Clydesdales, Leathercraft, and more. 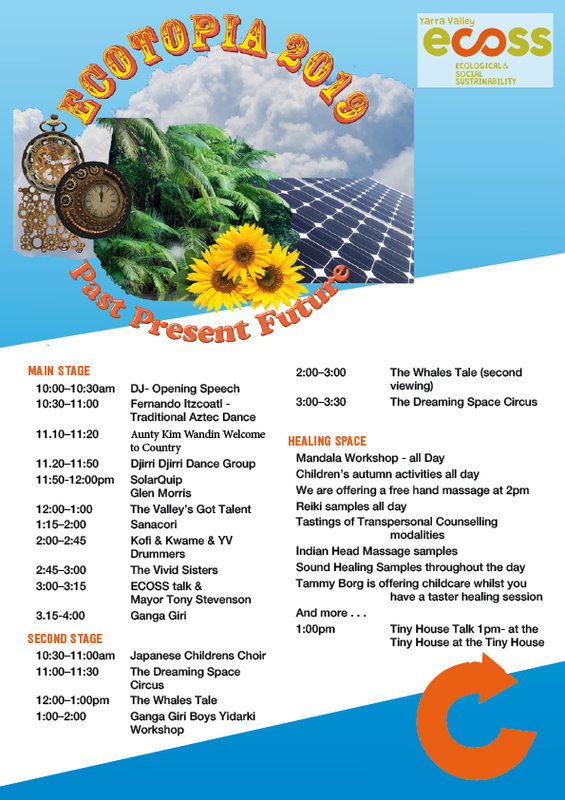 Thanks to Grid Edge solar trailer we will be powering the market stalls via solar on the day. We appreciate Grid Edge’s generousity. We will be hearing from Glen Morris from SolarQuip. Glen Morris runs the largest solar training centre in the Southern Hemisphere, educating and hosting the lastest in solar technologies. 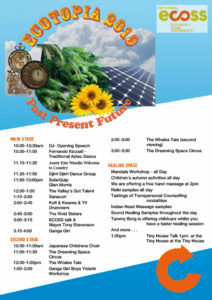 Glen will talk about climate change and solar. 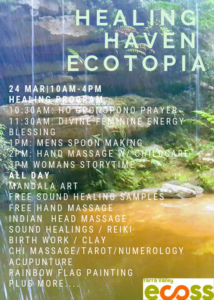 Many thanks to our sponsors- enabling this event to be free for you!